Peaceful golf course views. 5-10 mins from everything including shopping mall, Patong beach, restaurants, bars, golf, cinema, yacht marinas, spa, Phuket Town, shows, karting, temples, night market. 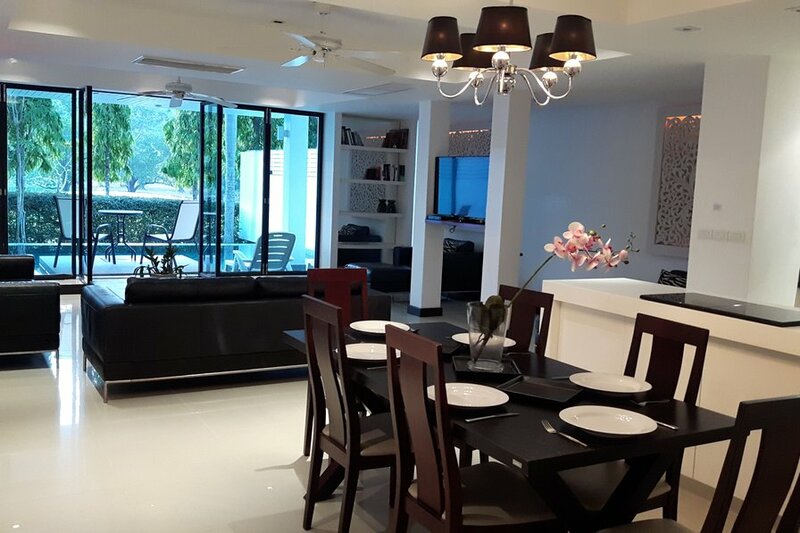 Large 4 bedroom villa for 8 persons, on the Phuket Country Club golf course, in a private gated development. Large master suite with king bed, balcony, en-suite bathroom with deep bath, separate glass rain shower cubicle & twin basins. We can get you discounts on all activities, tours & shows in Phuket. For medical tourists we are only 5-10 mins from Bangkok Phuket hospital and Phuket International hospital.